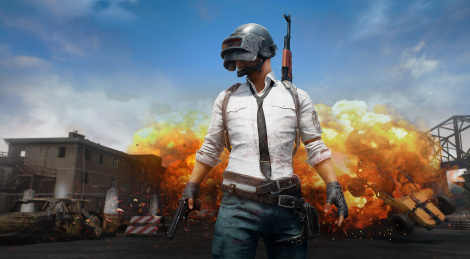 PLAYERUNKNOWN'S BATTLEGROUNDS is (finally) in the spotlight on Gamersyde, with 2 homemade videos on Xbox One X, which were both captured in 4K. Since the game is still in beta phase, the framerate is still far from being satisfactory, but the regular updates help improve the overall experience little by little. Hurry up and release on PS4 already! I think the lack of cheaters on the Xbox version makes a good case for it being the better experience compared to PC, controller input and all. I thought MS had this locked down as an exclusive? Nah, it's a timed exclusive. "console launch exclusive" "holiday 2017 launch exclusive" like Rise Of The Tomb Raider was. they keep wording it vaguely. if they had it they would say it. but most believe they just have exclusivity while it's in early access on account on the xbox being the only console that lets you play them. maybe they'll buy the devs though? that's always a possibility. could be a minecraft situation? like in reality what likelihood is there the devs will ever make something as successful ever again? might be best to sell it off while it's a hot commodity and before the likes of fortnite beat them at their own game, which being multiplatform and free to play and made by a more experienced developer could quite easily happen. That's just what Xbox needs - another first party game that they can't keep updated fast enough (cough Minecraft cough).